Student-Athletes ages 6 to 14 are welcome to attend the clinic. 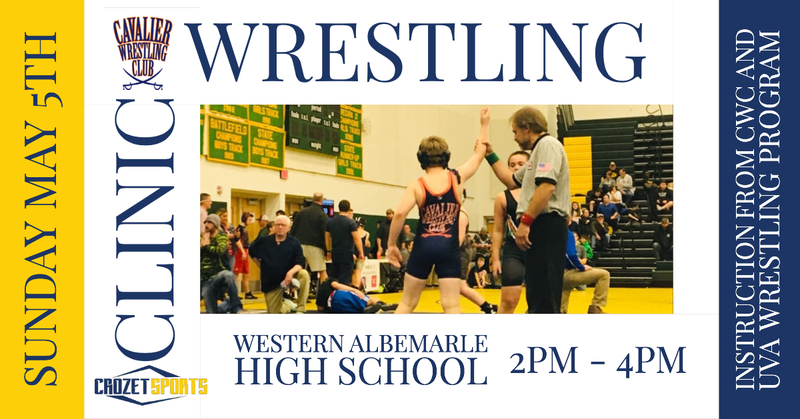 Instruction offered by the Cavalier Wrestling Club and coaches from the UVA Wrestling program! Briefly describe the student-athletes experience in the sport of wrestling. Beginners are also encouraged to attend this clinic. Please Submit this participant form and return to this page to Submit Payment. Thank You!